Small Planet Airlines Germany GmbH, a part of Small Planet Group, has commenced a restructuring process, as the airline filed an application for insolvency proceedings in self administration with the aim of maintaining the airline’s flight operations in the long term. 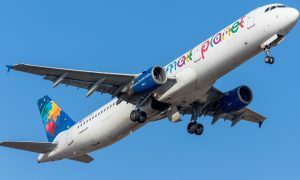 The German Civil Aviation Authority has no objections that the Air Operator’s License will remain in place and therefore, all scheduled flights of Small Planet Airlines GmbH will continue to operate as before. 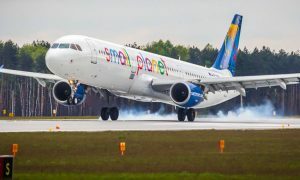 Small Planet Airlines GmbH has been operating as an independent entity in Germany since the year 2015 and acquired Air Operator’s Certificate (AOC) in the spring 2016. This year Small Planet Airlines Germany has decided to go for rapid expansion which didn’t go according to plan. “After Air Berlin went bankrupt last year, a niche emerged for the other carriers, and Small Planet Airlines Germany chose to almost double in size year on year in order to take advantage of these newly opened possibilities in the market. 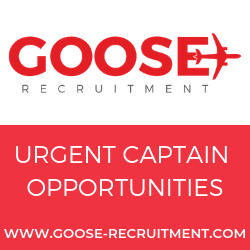 “However, the company struggled to manage this successfully due to several factors: late delivery of aircraft before the start of the summer season, shortage of crews in the market, unreliable sub charter aircraft and unforeseeable technical events had a devastating impact on a very intense schedule, which led to flight irregularities which in turn led to increasing cost burden. “The financial losses incurred by the German company forced it to file for a restructuring process under the German law. Nevertheless, the company continues operations under restructuring. We all stand together in this period to achieve the best possible result out of restructuring for our employees, clients and partners”. Small Planet Airlines in Lithuania, Poland and Cambodia will continue to operate their flights as planned and prepare for the upcoming winter season by cooperating with the tour operators and carrying passengers to the popular tourist destinations. Lithuanian and Polish entities will also continue implementing its seasonal winter projects in Asia, aimed at increasing the aircraft utilization and balancing seasonality. By the end of this year, Small Planet Airlines expects to fly 3,9 million passengers, an increase of 29% from 2017. As for today, Small Planet Airlines fleet consists of 29 Airbus A320 and A321 aircraft. The airline operates around 240 leisure routes from 15 European bases.